Katherine Swynford, Duchess of Scandal – History… the interesting bits! Very interesting piece, thanks for posting. Such a fascinating and complex web of relationships with enormously far-reaching consequences. Read the book by Anya Seton called”Katherine.” It was written in 1945 but it is a delightful read and more accurate from her research then this article. It was given to me as a gift when I was 17 by the Libraians who serve the Air Force Academy Cadets. This book was found on their shelf because of its accuracy. I have re-read it every year for Nostogia for the past 35 years. Your very welcome. 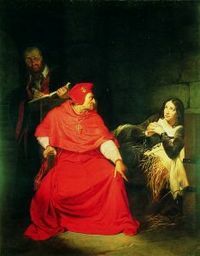 In Seton’s book , “Katherine”, she ( Katherine) survived the plague and grew up in a privy of nuns who escorted Katherine to her sister Philippi who was a kitchen maid for the castle. It was there that she meets Hugh Swyford and reluctantly marries him because her chances for a good marriage are so slim. She does not serve in the Dukes household until the relationship between the two developed. Fascinating read from a great writer . Pingback: James I & Joan Beaufort: A Royal Love Story – History… the interesting bits! Lovely blog post! However, Catherine of Lancaster married Henry, not Peter (or Pedro). Also, if Katherine Swynford was born in 1350, odds favor her being born in England, not Hainault, as Payne Roet was in England at that time. 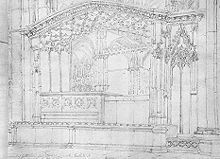 Katherine may have had two other siblings, namely, the Walter de Roet who was in the household of the Black Prince, and the Elizabeth or Isabel who was dowered a canonness of St. Waudru, Mons. Hi Judy, thanks for your lovely comment – and for spotting the name error (edited to Henry now, don’t know how Peter got in there). As to Katherine’s birthplace; given the date I expected to find that she’d be born in England, but every reference I found had her place of birth in Hainault. It may be he had been sent there on duty for the queen? 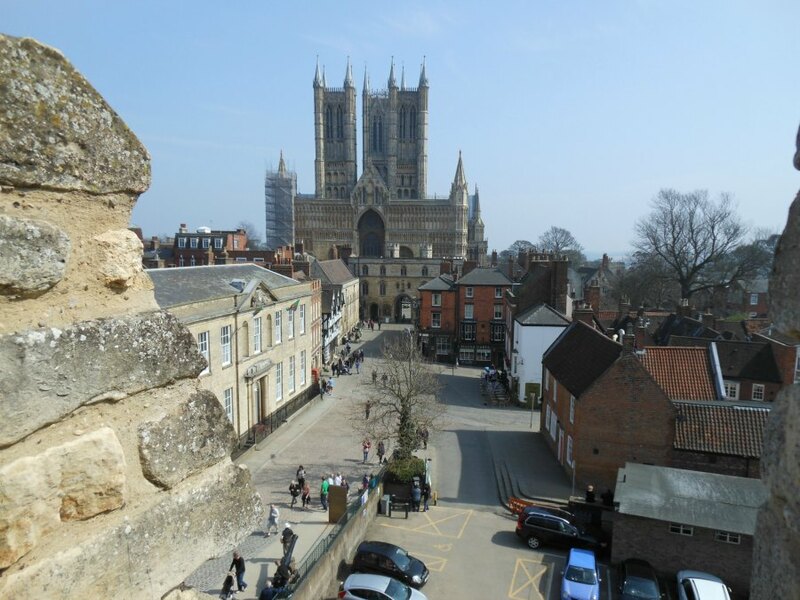 One source said the family returned to England in 1351. The lack of information is frustrating but understandable, considering she was an unremarkable minor noble until she caught John of Gaunt’s eye. Pingback: Alice Perrers, Mistress of the King – History… the interesting bits! Also Alison Weir’s non fiction book –Katharine Swynford is very good too. Thank you, Brittius, much appreciated. 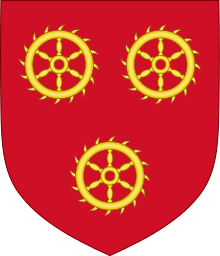 Pingback: The Complicated Love Life of John of Gaunt – History… the interesting bits! I went to Kettlethorpe – not much left to see there, but I just had to visit! Loved the post (as usual!). Are you sure that Richard II’s charter legitimating the Beauforts excluded them from the royal succession? I have always read that the exclusion was by Henry IV, in 1408. Pingback: Illustrious Queen – History… the interesting bits! Not my period at all, but I have read in several places that parliament passed the act that made the children legitimate without being in the line of succession. As it turns out, they managed to put several on the throne anyway. An interesting account of the life of Katherine Swynford. I have blogged about her step-daughter Philippa who became Queen of Portugal. 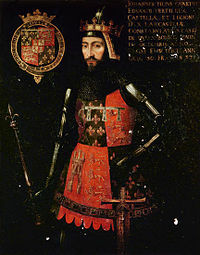 I read Anya Seton’s Katherine and fell in love with John of Gaunt as a young teen. 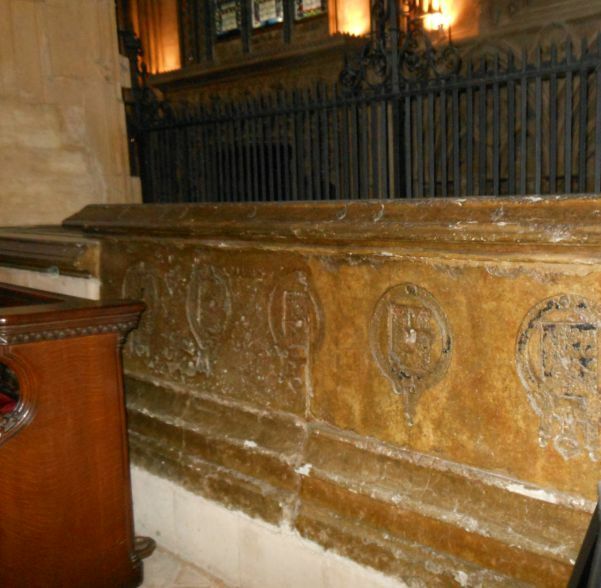 When I went to England I visited the crypt at St. Paul’s to visit his tomb. What a disappointment to find it had been destroyed during the blitz. I took a photo of his portrait instead. He did not look at all like he did in my own imagination. I wanted to get to Katherine’s tomb but unfortunately did not. Thank you so much for the above piece. It is mind boggling how one person can change the course of history. This is so interesting. Thank you for a great post. As a history lover I look forward to reading more on your blog. You are welcome, Sharon. Best wishes to you, too. Pingback: Guest Post: Vikings to Virgin – The Hazards of Being a King by Trish Hughes – History… the interesting bits! Very interesting article. Curious, has anyone had their mtDNA tested and if so what was it. Love all of your comments, Sharon. Always loved this story.